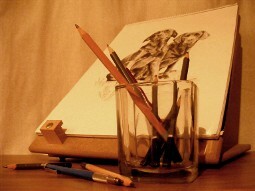 I am a self-taught pet and wildlife artist based in West Yorkshire. Having always been encouraged to doodle from a young age, it seemed only natural to start capturing my favourite wildlife on paper. Initially, my drawings started out as gifts for something a little different. I discovered how much I enjoyed pencil as a medium and the satisfaction of witnessing the reactions to my work from friends and family. Their support and growing interest resulted in a steady trickle of pet commissions which allowed my drawing style to really develop. However, the thought of pursuing art as a career never occurred to me as I was keen to gain more knowledge from a scientific perspective. 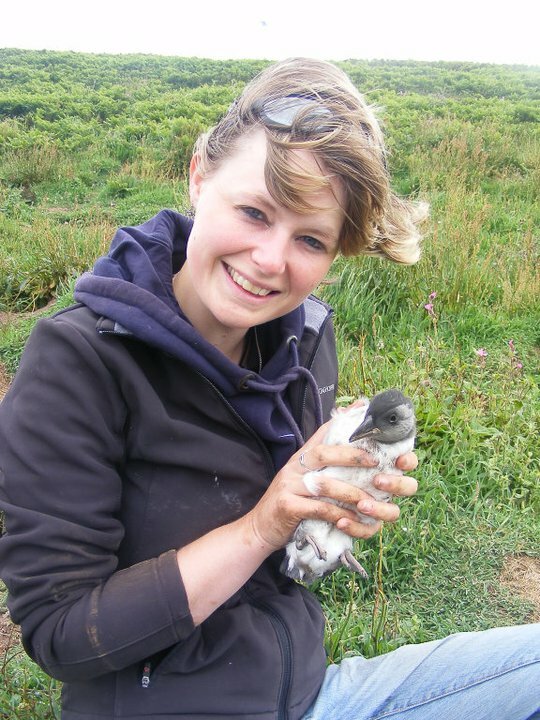 I'd always had a keen interest in animals and I wanted to learn more about their physiology and behaviour so I decided to study Zoology for three years at Aberystwyth University. When I picked up my drawing after I graduated I found my expanded understanding of animals greatly contributed to my art. The challenges each subject brings regarding its textures and anatomy are what fuel my passion for my work, I learn so much when having to study every tiny detail of an animal's body. With each drawing I find myself improving and refining past techniques as well as discovering new ones. Although the fine detailing of each portrait can be intense (some drawings can be the result of up to 40 hours work), it's very therapeutic and that feeling of satisfaction from completing a portrait makes it all worthwhile! In my spare time I like to spend as much time as possible out in the beautiful Yorkshire countryside that I am proud to call my home. With the Dales on my doorstep I feel very lucky and am constantly finding inspiration amongst the local flora and fauna. I often like to venture out on my motorbike and visit local nature reserves, not normally two hobbies that go together, I admit! I continue to volunteer with and support various conservation charities and trusts as I have done throughout my university studies. 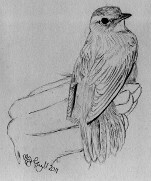 I am also a trainee bird ringer with the BTO and a member of the RSPB..
At the moment I am putting together a collection of wildlife pieces that particularly concentrate on animals in need of conservation, both nationally and internationally. For many decades humans and their actions have been responsible, directly or otherwise, for the plight that concerns much of our wildlife and I hope my drawings can not only raise awareness but allow people to further enjoy and admire what fascinating wildlife this planet has to offer. My bird ringing training has taken me to some beautiful places in the UK. The majority of my early starts take place in North Yorkshire but I have also been very fortunate to ring species on Skomer, the Isle of Rum, Priest Island, North Wales and Suffolk. Ringing aims to build an understanding about what is happening to birds in the places they live and how this affects population increases and decreases, this knowledge is vital for conservation. It also gives information on the movements individual birds make and how long many live for. For more information please visit their website here.